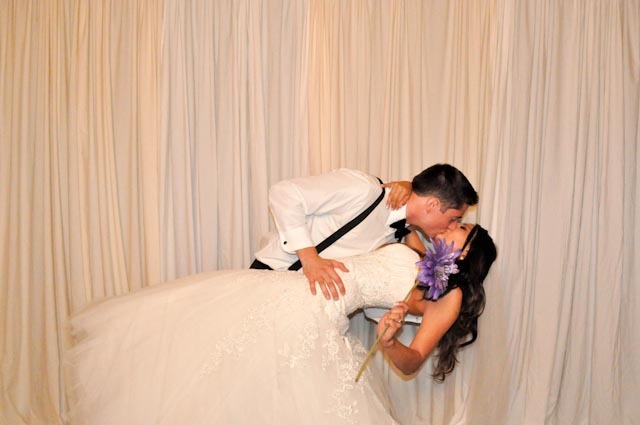 Michael and Alona’s wedding reception was held at the Tucson Omni National Golf Resort. We were set up on the Terrace next to the bar and just outside of the reception area. The area was absolutely perfect. Alona’s wedding colors were white, champagne, and coral so we did her background in light champagne and white. I think the groom photobombed the booth more than anyone else. We were only scheduled to be there for three hours but the guests were having so much fun that the groom added an additional hour. Patrice Klaum with Celebrations by Amy Bacon, was the event planner. Her team was an absolute joy to work with and were very accommodating. Patrice’s team and the photographers from She.We Studio even enjoyed the photo booth. I created a cute video of our favorite pictures taken at the reception.